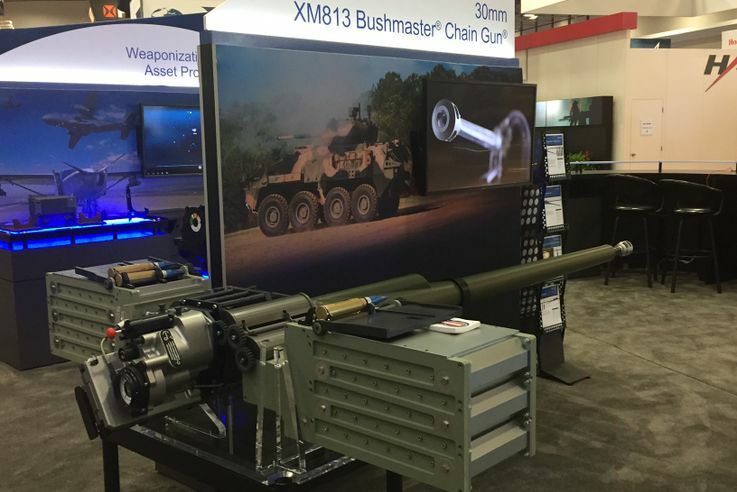 Orbital ATK unveiled the XM813 Bushmaster Chain Gun during the AUSA 2016 Annual Meeting and Exposition in Washington, D.C. The gun will soon provide European-based Stryker combat vehicles with advanced firepower. The exhibit also featured Orbital ATK’s range of special mission aircraft upgrades for weaponization and protection such as the AC-208B Armed Caravan, the AC-235 Light Gunship and aircraft survivability products, such as the AAR-47 multi-threat warning system, and the ShotFinder acoustic hostile-fire detection technology. 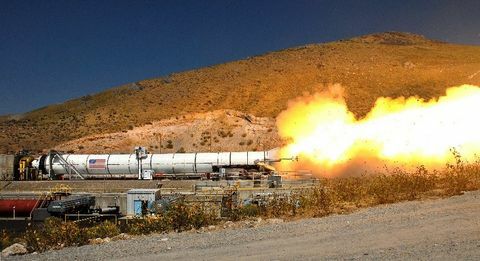 The U.S. Army is Orbital ATK’s Defense Group’s largest customer. The company’s work for the Army includes the management of the Lake City Army Ammunition Plant, Bushmaster Cannons that are integrated on the Bradley fighting vehicles and Apache attack helicopters, production of medium caliber ammunition, large caliber ammunition for the Abrams main battle tank, precision guidance for artillery projectiles, and advanced fuzing and warheads for guided multiple launch rocket systems and mortars. 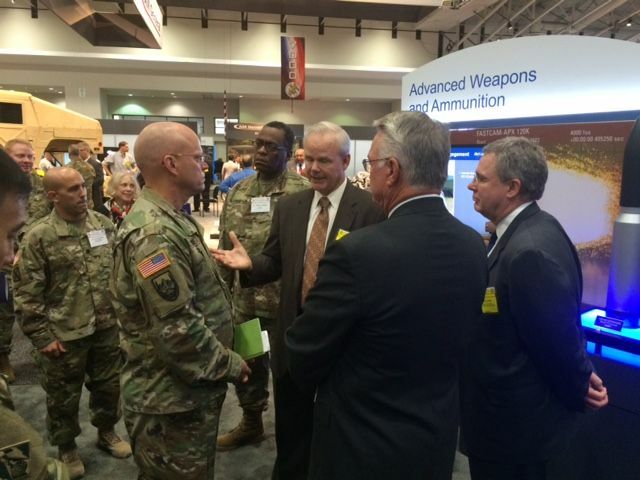 Bragadier General George stopped by the Orbital ATK booth at AUSA to hear more about how we are serving the warfighter with our advanced weapons and munitions. .
Orbital ATK also exhibited its space-based capabilities. 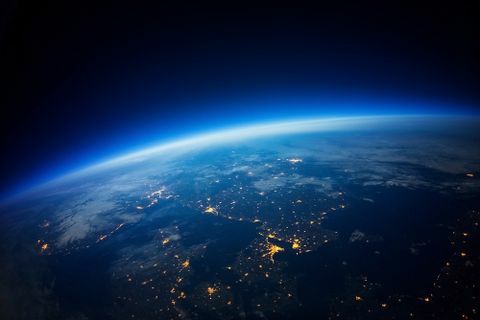 As one of the world’s preeminent satellite technology providers, the company offers a broad portfolio of products for military, scientific and commercial customers. 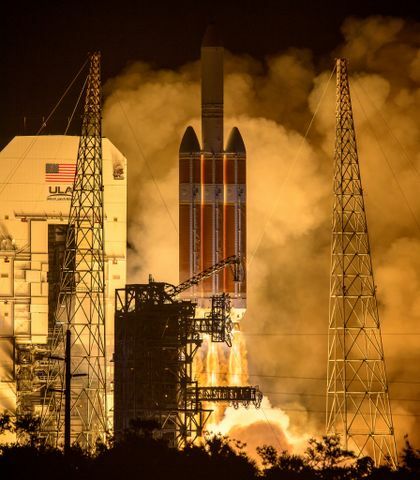 Products on display at AUSA included the ORS-1, LEOStar-2, RapidStar 1 and 2 spacecraft platforms and the company's advanced Mission Extension Vehicle, a robotic spacecraft that will dock with, and extend the life, of in-orbit satellites. Attendees were also able to see the Kestrel Eye electro-optical imagery nanosatellite up close. 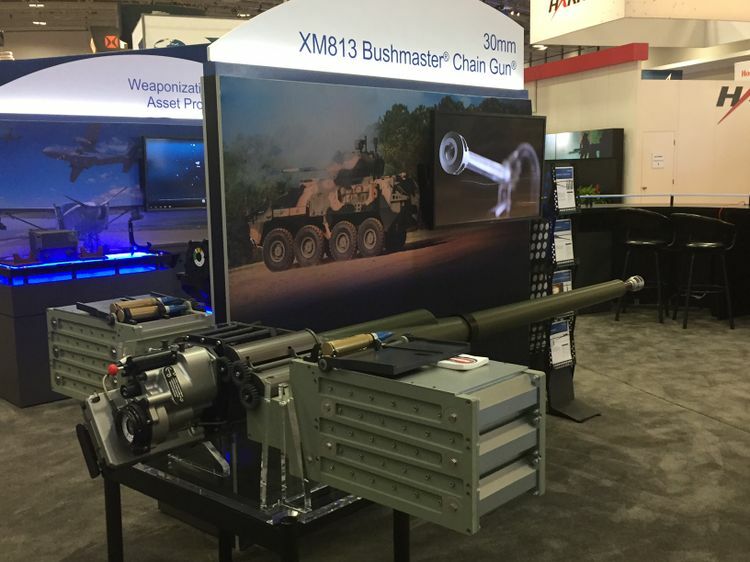 This satellite is designed to be tasked at the tactical unit level providing 1.5 meter ground resolution to the warfighter. The next conference Orbital ATK will be exhibiting with is SpaceCom in Houston, Texas, November 15-17. 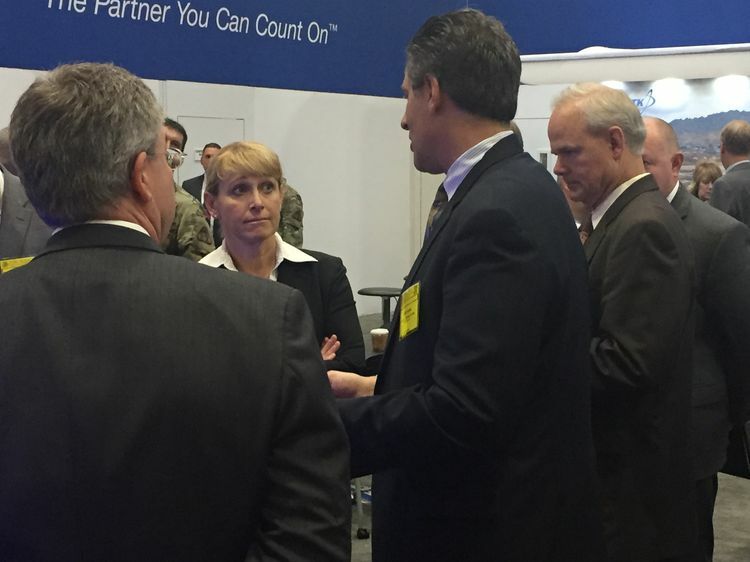 The Honorable Katharina (Katrina) McFarland, Assistant Secretary of the Army (Acquisition, Logistics & Technology), discusses the many programs that the Army and Orbital ATK supports with Mike Khan, Orbital ATK's Defense Group President (center), at the company's exhibit space during AUSA 2016.